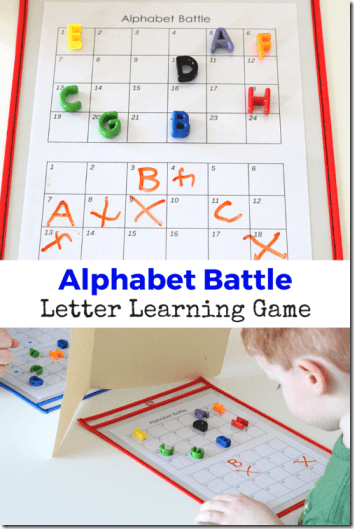 Kids are going to have a blast learning and practicing their alphabet letters with this fun, free Alphabet Printables game for preschool, kindergarten, and 1st grade kids. This is such a fun, hands on learning activity for Preschool and Kindergarten age kids! This free printable Alphabet Game from Mom Inspired Life is sure to be a hit for little ones learning their letters.